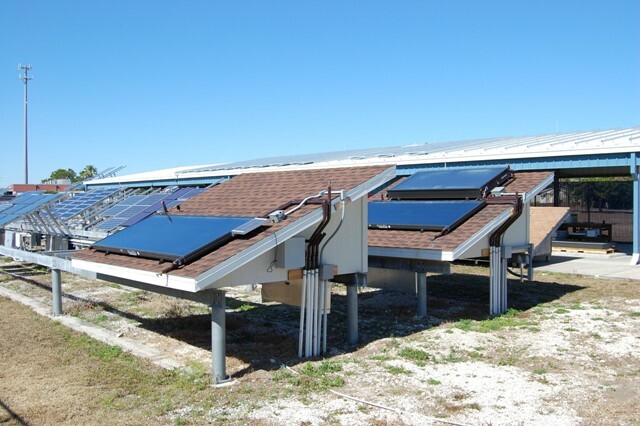 The HWS Laboratory houses a 50-gallon electric reference water heater, heat pump water heaters, solar water heaters, natural gas reference 40-gallon water heater. During past testing rotations ultra high water heating efficiencies have been demonstrated with hybrid and improved system configurations. Details on the measurements and calculations are briefly covered in a calculations procedures link. Caution: Data being collected are preliminary and cannot be used to characterize relative performance without understanding changing experimental conditions. Valid data have been collected for the systems in final configuration since 10 March, 2009. Data on system performance prior to insulation of piping can be seen from 3 February - 2 March, 2009.